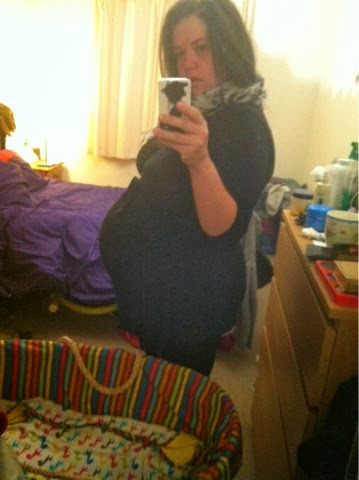 My pregnancy was not straight forward. Lots of hospital visits and appointments. Being told numerous conflicting advice ending finally with seeing a consuller. 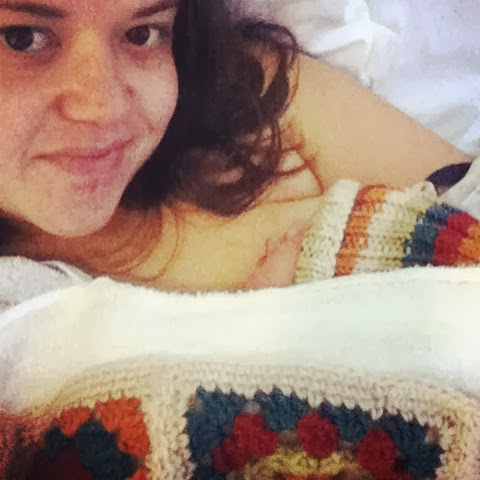 Also as I had a previous c-section meant a normal birth plan was very unlikely to go ahead. I had a couple of things which I knew I wanted. 1. Safe delivery (pretty self explanatory) no matter on what mode of delivery we end up with. 2. No induction. Either spontaneous delivery or a planned section. After my final admittance to hospital due to yet another bleed at 38weeks, the decision was made. No induction (due to previous section and being unable to pinpoint where the bleed is coming from) but I had to book an elective section date for post 41 weeks. Giving me a couple of weeks to see of my body would kick things off naturally- but I had been warned even if this did happen I needed to head straight to hospital. The section date was set 31/10/2013. I had to attend MAU twice a week for monitoring and that was that. I write this piece as I lay in bed. M staying the night at my in laws, bags are all packed in the hallway (inc the extra bag as I at least know with a section it will be a good couple of days before discharge) I spent a lovely morning with my boy, having cuddles and tearing up as our time as just us is numbered. He will soon be my eldest child not my only. I hugged him, I kissed him and I told him I would always love him. Now at 11.00 the house is quiet. K is watching tv and I'm curled in bed feeling the little baby in my tummy squirm and wiggle. This baby I have carried for 9 months, grown in me, nutured by me. I have laid here and cried. Cried because I am scared. Nervous. A sick to my stomach nerves. The knowing that tomorrow morning I have to arrive at hospital early to have a fairly major surgery. To give birth to my child "through the sun roof" the "easy way" right now it does not feel easy. It feel terrifying, it feels scary, it feels a little unreal. Yes I am excited to see him, see what he looks like, to give him cuddles and hold him close. To kiss him and tell him I love him. But right now as I attempt to get some rest my mind is whirring a million miles. But I will try and rest. To breath. To stay calm. To say a prayer. To be hopeful that tomorrow all will be ok. I've slept ok. On and off. Uncomfortable as usual. But woken up now and can't switch my mind off. I know women go through this daily. As K said to me last night. For you it's a big thing, an operation the-safe delivery of our child. But to the suregeons, midwives and medical teams this is their job. So this is just a Thursday. Sitting in the delivery room. Been spoken up by doctors and surgical team. Feeling really apprehensive. And very scared. Being told were heading down to theatre. I walk calmly down with K by my side. But as soon as i make it in there the nerves kick in. Walking into the theatre is one of the scariest things. The room was small and full of people in scrubs. I had to sit up on the table while they inserted a cannula before starting the local for my back. Right here is when I lost it. A break down of tears. Shaking scared. But I tried to compose myself. Listen to the music k had put together and hold his hands and look at him. Pretty soon the numbness starts to spread. I'm told to lay down quickly as they start attaching all sorts of things to me. K is right there by my side. We talk about nonsense and listen to the music together. Knowing our lives are about to change. 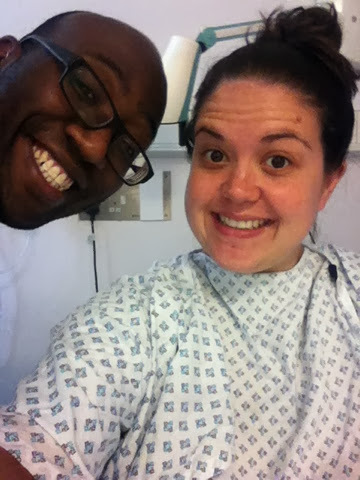 The midwife comes back up to me and tells us all is going well and they will be removing baby soon. At 10.11 I hear that cry. I cry. I never cried with M - I blame the amount of drugs pumped into me by then. They take our son off to get cleaned up. I send K with him. I lay there trying to ignore the conversations of the operating team around me. Soon K is back with our little bundle wrapped in towels. For the rest of the surgery K and N sit next to me. His little eyes were so alert and bright. He was beautiful. I'm now on the postnatal ward. Holding my snuggly little new born. After hours of skin to skin contact. He is so lovely and tiny and mine. This time around things have been so different. So much calmer and relaxed. But that doesn't stop the fear affecting you. WOW ! this story is just beautiful .. it brought a tear to my eye - thanks for sharing. Many congratulations to your family. Looking forward to seeing more photos of your family of 4 and hearing how you are getting on.